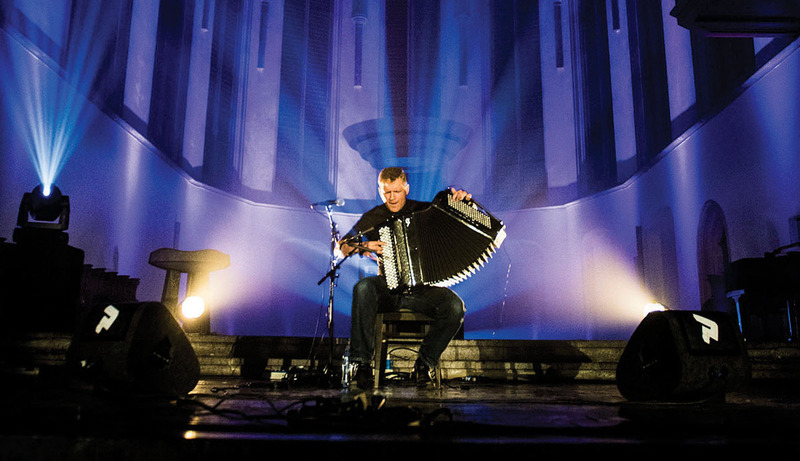 Bosnian accordion master Mario Batkovic shares the video for the first single of his newest, self titeld album. The video for 'Semper' displays the accordionist playing live in a dark, mysterious tunnel. Watch below. "I wanted all of the instruments breathing, air noises and the sounds of flapping of claps to be audible, so the handicaps of the accordion can be transformed into benefits, creating a new sound"
Last year, Mario Batkovic performed as part of the program curated by Savages. This year, we're thrilled that he'll be back, on the invitation of curator James Holden.